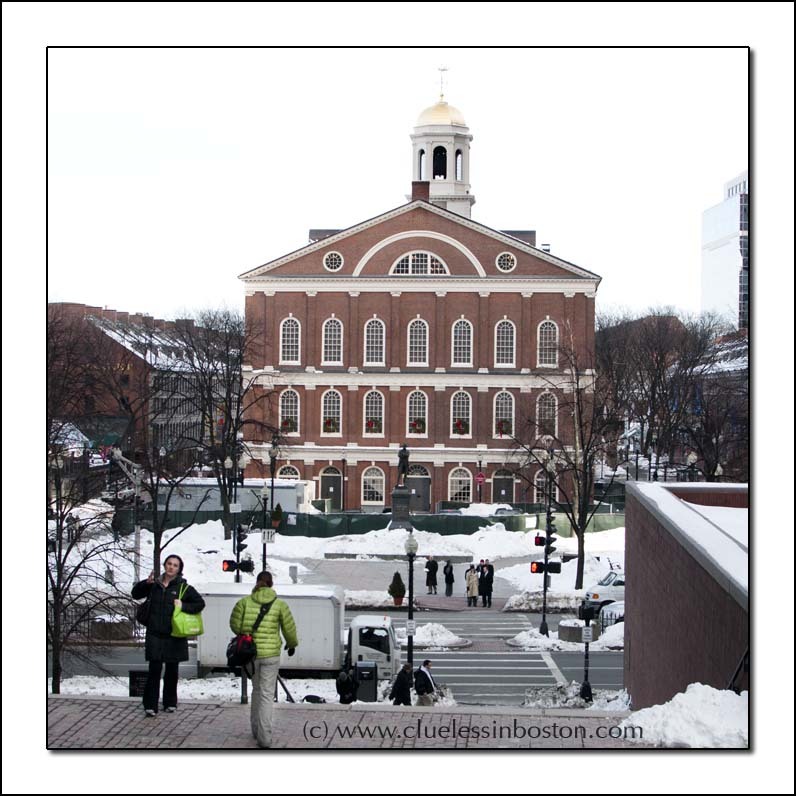 East side view of Fanueil Hall. Building is lovely a and I can see that winter is still there! What a nice picture this is. A wonderful subject in any season. I hope the spring will be here soon. Green Coat, black bag - Black coat, green bag. Nice timing.